Here are some of the tenets of the CARD Act as quoted from my letter from Bank of America that I am disgusted with. 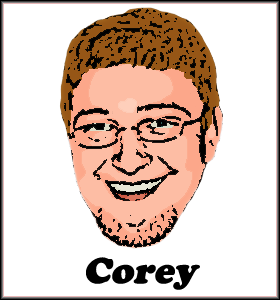 I’m sure a lot of people will say, “But Corey, these measures are here to help people! Don’t you want to help people!” Helping people is all well and good, but I think that government-funded help should be focused on assisting with housing development in under-developed areas and nutrition and wellness programs such as WIC. I don’t think that government aid should help consumers who spent beyond their means using credit tools issued by private corporations. The regulations outlined above, in my opinion, serve to reinforce poor consumer finance behaviors that have led to the “credit crisis” we are currently in. Consumers that lived in an “I can’t afford this, but I’m going to buy it anyway” world are now being told that their repayment guidelines are being relaxed. NOT a good message to send. Telling people that spend beyond their means that the punishments for reneging on their agreement are being relaxed is not the way to mold a class of responsible consumers. “But wait, Corey! Are you telling me that you’ve never had any credit card debt?” Absolutely not. I currently have credit card debt, but I’m not looking for any handouts, because I got into this situation by my own stupidity. I’ll get out myself through diligent repayment that is both within my budget and – most importantly – in keeping with the agreement made with my creditor. Credit cards are a great way to build credit, shop online, and breeze through long lines, but they come with great responsibility. Sorry folks, but if you don’t hold up your end of the bargain, you need to suffer the consequences. I think America has seen too many corporations get bailed out and think they need a bail out too. I’ve even heard myriad politicians say that “Main Street” needs the bail out; not Wall Street. No one needs a bailout. Don’t spend beyond your means and you won’t have these problems.